Stress is a common condition that affects nearly everyone to some degree on a daily basis. The amount and the nature of the stress that a person faces will vary, depending on an individual’s responsibilities, lifestyle, and overall circumstances. Both the amount of stress and one’s ability to handle it play a large part in how someone is affected. If it occurs on a regular basis, stress can prove detrimental to one’s physical and mental health. 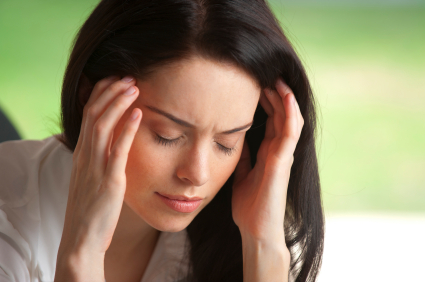 Excessive stress can also have a negative affect on other areas in one’s life, such as school, family, and work. Because of its ability to cause harm in so many different ways, it is important to learn how to both recognize and positively deal with stress. Stress is a mental or physical response to situations that are excessively demanding, difficult, or threatening. When a person is under stress, their body responds by releasing hormones such as cortisol and adrenalin. This causes a chain reaction of changes in the body that are meant to help the body cope with threatening situations. These changes include the tensing of muscles, a rise in blood pressure, and an increase in both heart and respiration rates In certain circumstances, these changes are positive and can help people in certain situations, such as during a life-threatening event or at times when they need to perform at maximum capacity. However, these changes are problematic when they occur on a regular basis, or when one stress factor constantly occurs after another. Any number of daily situations can trigger feelings of stress. In college, it can be caused by anxiety over classes or a fear of failure or living away from home for the first time. Lack of free time, finances, relationships, and work may also result in heightened feelings of stress for anyone, regardless of whether they are in college or otherwise. Symptoms of stress can develop in different ways. Physically, a person may experience headaches, an upset stomach, or feelings of fatigue when under large amounts of stress. Emotionally, it may manifest as feelings of anger or irritability, restlessness, anxiety, depression, and an inability to concentrate. When a person is under stress, it may also result in changes in his or her behavior, such as withdrawal from normal social activities, excessive eating or an inability to eat, insomnia, or even substance abuse. Alleviating stress is crucial in preventing its negative effects from impacting the important areas of a person’s life. In order to successfully accomplish this, a person must determine where in his or her life the stress is originating from. Once this is determined, most people will find that it isn’t always possible to entirely eliminate it. The key is to then reduce exposure to stressful situations and to learn and practice coping techniques that can help manage and reduce the stress. There are numerous methods that can be used to alleviate stress, although which technique works best will depend on the individual person. Learning to relax is immensely beneficial in accomplishing this. Common relaxation techniques include massages, deep breathing exercises, meditation, and yoga. Aromatherapy is a method of relaxation and uses various essential oils to soothe the senses. Ylang ylang, lavender, and chamomile oil are some of the essential oils that are helpful for stress relief, and can be combined and used with other techniques such as massage or meditation. For some people, a change in habits and lifestyle can help them to better deal with stress. This can be done by establishing a regular sleep schedule and switching to a healthy diet. Incorporating physical activities is also beneficial. During breaks, after classes or after work, some form of physical activity such as walking or riding a bike can work off stress and relieve tension. Exercise can be as little as 20 minutes a day and still reduce stress. People who learn to recognize, reduce, and manage the stress in their lives can reap numerous benefits for their efforts. Although it may not be possible to entirely eliminate stress, there are ways to live as close to stress-free as possible. Doing so may eliminate the risk of potential future health problems, such as high blood pressure or heart disease. A more relaxed lifestyle can also improve relationships and a person’s performance in school or at work.